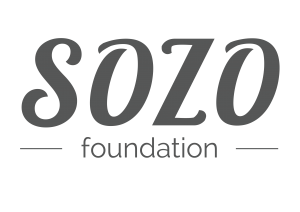 On Saturday 19th September 2015, the Sozo Foundation will officially open its new centre, a two-storey youth and education facility in the heart of Vrygrond, Cape Town. 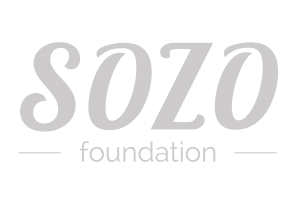 Joining the Sozo Foundation for the celebration and ribbon-cutting ceremony is Western Cape Minister for Social Development, Albert Fritz, as well as Councilor Shaun August. The Centre is a ground-breaking development for the community of Vrygrond as it is the first facility in the area that was specifically built for Youth Education. The construction of the new centre began in June 2014, after an initial seed donation of over R1 million, which was gathered at New Wine Festival in England. Generous monetary and material donations were given by churches, business and organisations based locally and across the globe. The new centre will house the Foundation’s offices as well as its core projects, including Educentre, an after-school tutoring programme for high school students from the surrounding area. With no high school in Vrygrond, Educentre provides much needed tutoring and mentoring within the community itself. Educentre was previously held at the Vrygrond Library, where the Foundation was forced to turn away students due to limited space. However, the new centre will enable the project to expand, increasing the intake of learners from 45 to more than 100 students. Educentre Project Manager, Arlene Bock, shared her excitement about the new building. Thank you to our funding partners, who donated thousands of rands, as well as the following companies who supported the building project by donating products and materials, including: Macneil, GMS Systems, Cisa, Connection Telecom, Comtel, ClayTile Jacks Paint, GSE Products, Lumber City/PG Bison, Old Mutual, Atlantic Forwarding, Community Chest Donations in Kind, H20 Somerset West, Delphis Eco, Vyrgrond Community Lab. Without these individuals, organisations and companies, the construction of the Sozo Centre would not have been possible.